El Encanto is the most lovely ( and full !!!) place we've been in...Lovely owner, lovely staff, amazing garden and breakfast ( home made bred, fresh fruit and juice, omelettes, scrambled eggs etc...), and fantastic beaches ! And the Park ( Reserve ??? ) 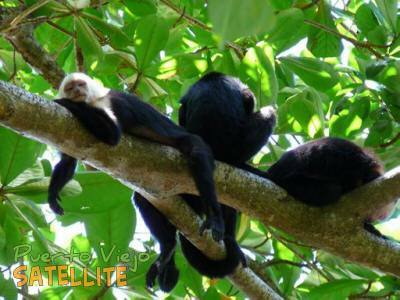 is one of the most visited in Cahuita !